Although First Blood gives us the Rambo that was not familiar with, Rambo: First Blood Part II gives us the character we’re more familiar with. Yet this doesn’t quite mean that it’s a better film than First Blood. While First Blood had a better story than First Blood Part II, the sequel is much more entertaining. First Blood Part II contains seemingly every single campy 80s action movie cliché in the book. There’s cheesy, groan-inducing lines, lots of explosions and bullets, close-ups of muscles slathered in baby oil, and an awful musical score. It’s pretty much all there. There are films that benefit greatly from these clichés, but First Blood Part II doesn’t. The film takes itself too seriously for the amount of ridiculousness in it. Not to mention, the film continues to convey the message about Vietnam vets getting the cold shoulder by its own government. This is a fine message to convey during its time but this message is the sole reason why it takes itself too seriously. It’s not an engaging enough of a storyline to get audiences to care about it. On the other hand, the symphonic gun sonata that Rambo is known for was born in this film. The amount of gratuitous violence that’s in this film is exponentially larger than in First Blood. The same goes for the number of dead bodies in the film too. By the end of the film, you’ll lose track of how many enemy soldiers Rambo has killed. Since this is an 80s action film though, the villains are as one-dimensional and stereotypical as they get. During this time, there is only one type of villains in an 80s film: Communists. So, in this case, you have both the Russians and the Vietcong. As a result, you have stale wooden villains that are nothing more cannon fodder for Rambo’s wrath. Unfortunately, Sylvester Stallone has made slight improvements in his performance this time around. Instead of giving Rambo no personality, he gives him a little bit of a personality. It’s not much but it’s better than nothing. However, Stallone does showcase a lot of pain and exhaustion in his performance. Rambo goes through the wringer here and Stallone effectively shows it. 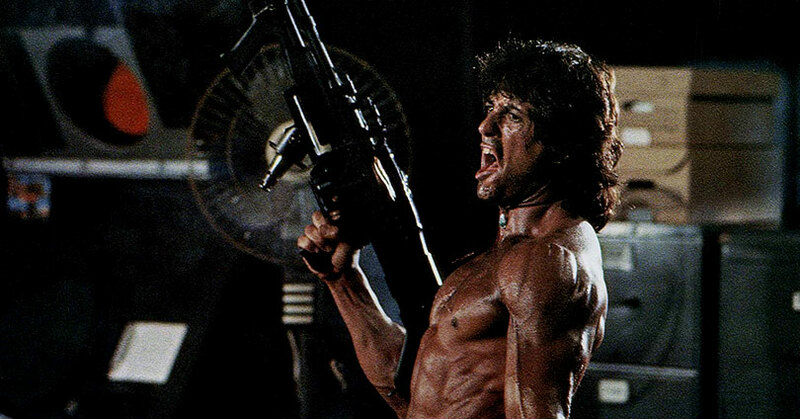 Overall, Rambo: First Blood Part II is the film that began the ridiculous legend of Rambo. It’s an absurd film but it has all the bullets and explosions to whet your machismo needs. Sometimes you just need to turn your brain off and watch a one-man army completely destroy the opposition. Rambo: First Blood Part II hits Ultra HD Blu-ray with an HDR transfer and a 2.35:1 aspect ratio. Unlike the 4K release of First Blood, the video transfer for the sequel is light years better. The biggest difference is the noticeable increase in detail clarity. You can easily see every single drop of sweat, pore, stubble with great clarity. Not to mention, there’s no inconsistency with the video as well. In fact, the contrast, brightness, and black levels are all fantastic. The contrast gives the picture some depth to the picture. In addition, the brightness is bright with no bloom, except for scenes that call for it. Lastly, the black levels are really dark with no crush whatsoever. Once again there’s a naturalistic look to the color saturation of the film. Thus, none of the colors seem to pop from the screen. At the same time, the skin tones look natural as well. The skin tones don’t look too red nor does it look too blue. You also won’t notice much of the film’s grain either. It’s surprising to see a lack of film grain in an 80s 4K release but First Blood Part II’s film grain is fine so you won’t be able to notice it. Overall, this is a stellar video transfer. 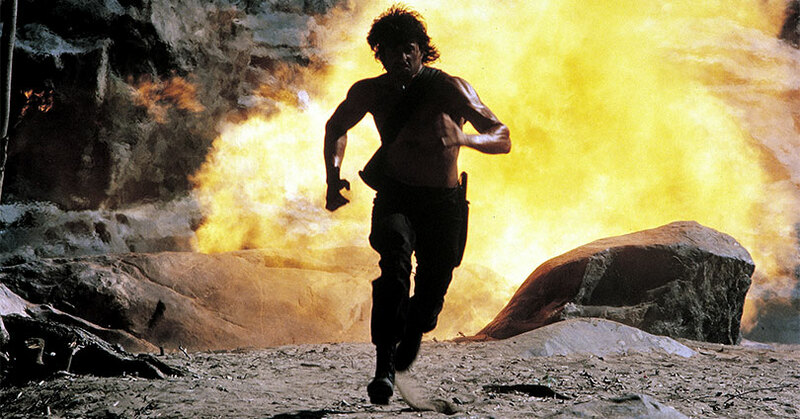 Rambo: First Blood Part II hits Ultra HD Blu-ray with a 5.1 DTS-HD Master Audio track. Unfortunately, unlike the video transfer, the audio mix is similar to the mix in First Blood. The mix doesn’t sound as dated, but the mix still sounds very static. Much of the mix comes from the front three channels while the rest of the 2.1 channels is dormant. That’s not to say that there isn’t any panning or immersion in the film. There are a few instances where the soundstage finally comes alive. However, this doesn’t arrive until the action completely ramps up. At the same time, the effects coming from the front channels overpowers all the atmospherics coming from the rest of the channels. It’s a shame considering the amount of crazy dynamic action in the film’s third act. As one might expect, the dialogue is not one of the audio elements that the sound effects overpower. Unfortunately, there a small number of LFE in the film as well. Thus, no boom or rumbles whenever there’s an explosion on screen. Overall, this is a lackluster audio mix for such an action-packed film. The second part of the “Rambo Takes the 80s” series has such a unique analysis of the ridiculousness of First Blood Part II. It’s refreshingly honest—a rarity for a featurette on the same Blu-ray release. “We Get to Win This Time” isn’t as engaging as First Blood’s making-of documentary. The stories simply aren’t as interesting to listen to. On the other hand, the featurette does have some insightful information on the thought process in the creation and editing of the film. “Action in the Jungle,” “The Last American POW,” and “Sean Baker” doesn’t seem like actual featurettes. Instead, they look more like vintage news reports than anything else. If you’ve seen all of the featurettes up to this point, then you’ll have seen many snippets from Stallone and Crenna’s interview. Although interesting to listen to, you’ll feel like you’ve already watched most of it already. “Behind the Scenes” is nothing but a montage of raw behind-the-scenes clips from the film. No narration or commentary, just the clips themselves. “The Restoration” is another boring before and after look at the work done on the film. Once again, if you’re into this sort of thing then you’ll love this one too. Also, “How to Become Rambo” is another educational training video on the exercise techniques done to get Rambo’s physique. No steroids required. 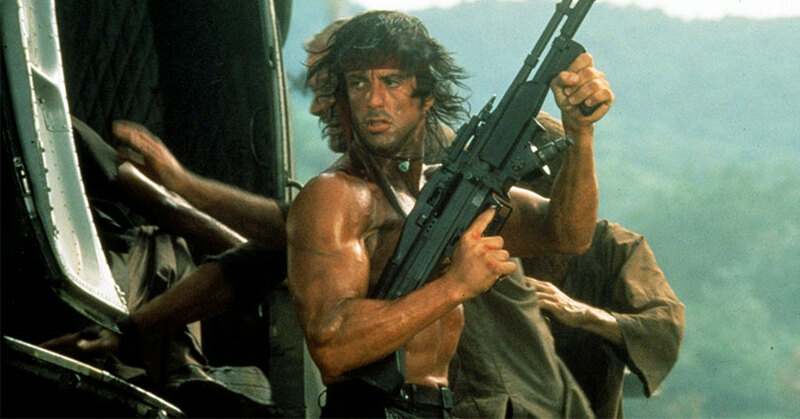 Overall, Rambo: First Blood Part II Is the kind of action-packed film that we’ve all been accustomed to. A product of the times, First Blood Part II is a film that focuses on the campy action first and story and character development last. Thankfully, the source material is phenomenally better than in First Blood. As a result, the video transfer looks light years better. Unfortunately, the audio mix is similar to First Blood’s bland mix. Also, the special features aren’t as good as First Blood’s either. 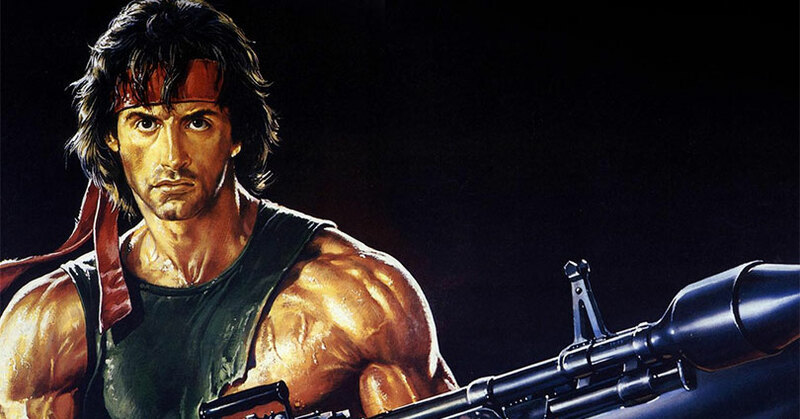 The post Rambo: First Blood Part II – 4K Ultra HD Blu-ray Review appeared first on Nerd Reactor.